This article is inspired by my friend, Suzanne, who wrote the Ocean Nomad Ebook (use code 2MONKEYS to get discount!). Who says you need to own a sailboat to go sailing around the world? From a sailor in the making (since I still have a lot to learn), let me tell you that you don’t need to have one. You could go sailing around the world by hitchhiking and yes, it is very much possible! 1) Be an asset to the sailboat- Sailors have a very tough job. Every time we cross a passage, Jonathan and I take turns in manning the sailboat and I admit that most of the time, we need an extra hand. This applies not only to us but to most sailboats out there-- we definitely need a crew! If you want to hitchhike, then you must not be a liability to the team. You have to know something about sailing-- it’s either you know how to maneuver, read maps, fix machines, anything! You can even offer to cook, take and edit videos (for sailor vloggers), or do the laundry. 2) Hang out at a marina- There’s no better way to meet sailors than by hanging out at a marina. They love an ice cold beer and some good old wifi. Find a bar with good wifi and chances are you might find the perfect vessel and captain for you who’s willing to take you in. Oh, try to establish some friendship first before jumping into the whole hitchhiking thing. Come on, you wouldn’t want to be stuck in the middle of the sea with someone you’re not really comfortable to be with. 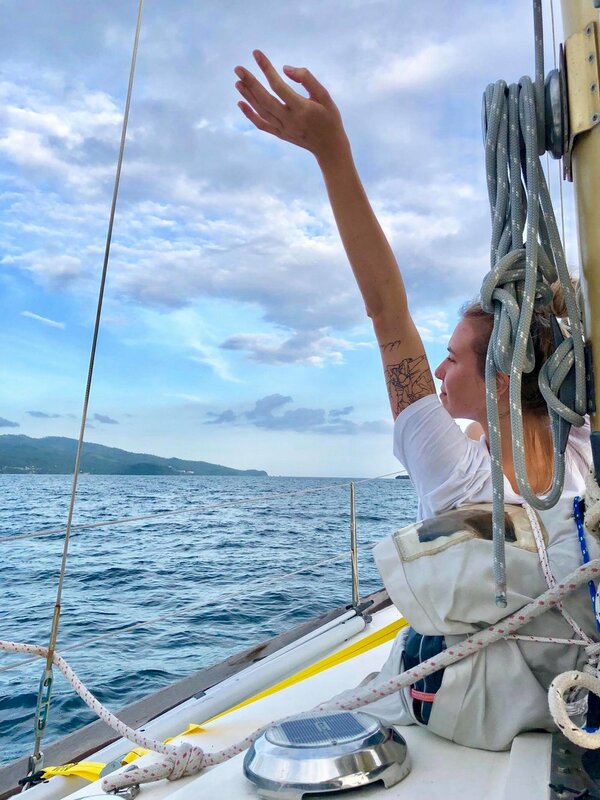 3) Know what you’re getting yourself into- Hitchhiking on a sailboat is very different in a way that you cannot turn your back, especially when you’re already in the middle of the sea. You can’t just jump out of the water and swim your way back to the shore if you don’t like it. You have to be fully prepared for seasickness, for the strong winds & waves, to use a tiny bed and do your business in an even smaller toilet. Sailors would know if there’s something holding you back or if this is something you’re not really up to. Trust me, sailing is a serious thing and just like marriage, it’s not something you can easily spit out when you find it too hot for you. Fortunately, sailing doesn’t last a long time. It could be for a couple of days and when you reach land, you can always move on. 4) Don’t use the word ‘hitchhike’- The word ‘hitchhike’ implies that you want to ride on a sailboat for free and that’s not very nice to hear for sailors who have invested a lot of time, money, and energy on their sailboats. Rather than using that term, ask them if they are looking for a crew and offer your services whether it be cooking, doing the laundry, etc. Tell them what you can and what you cannot do. 5) Having a basic knowledge about sailing is an advantage- Note that this is not necessary but knowing some sailing terms, how to tie a knot, read a map, etc. is a good start. Just be honest in case you don’t know anything yet always be quick to add that you are eager and willing to learn. 6) Offer to share costs- Provisioning (or buying enough food and necessities) for the whole voyage costs sailors a lot and I think there is no way you’d get this for free unless the captain is your close friend or family. Once you agreed with the costs, try to reduce it in writing to avoid any conflict between you and the captain. 7) Know your worth- If you think you’re really an asset to the sailboat, you have to know your worth. Are you such a huge asset enough to be on board for free? Then tell them what you can do. If you have a 5 years experience on sailing and if you’re willing to teach us and help out a lot then OMG be our guest! 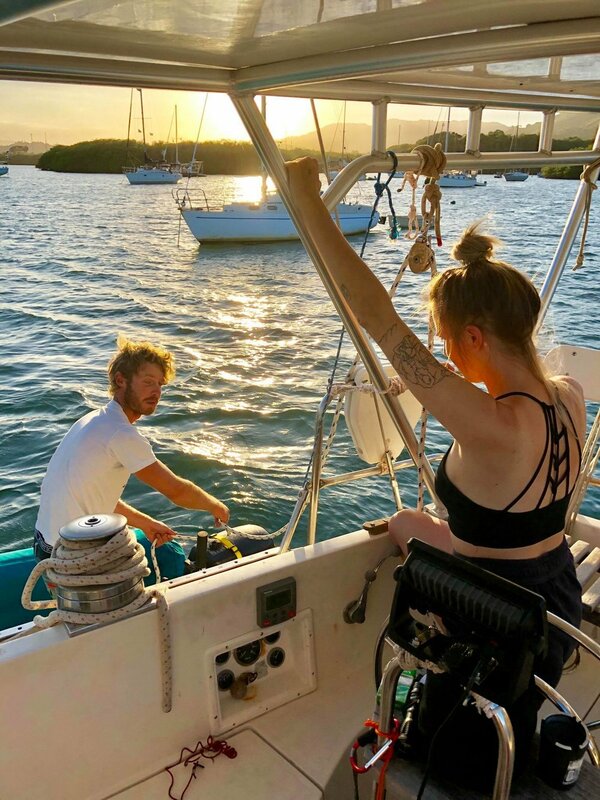 It’s a matter of finding the right people-- your 5 years of sailing experience compared to our 1 year is a big factor and I’m sure we’d learn a lot from you! 8) Find a boat online- There are plenty of boats seeking for some people to help on board and in fact, there’s this website called Crewseekers where you can easily find sailing opportunities all over the world. 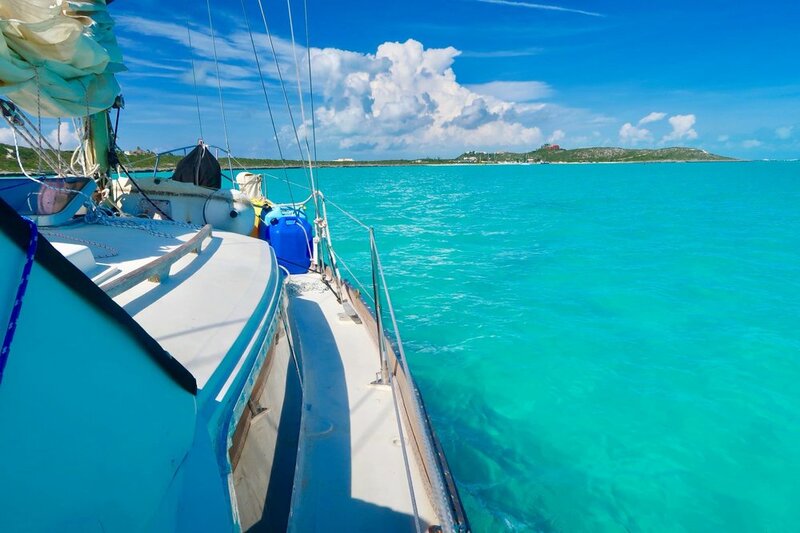 The best thing about this website is you can browse all sailing opportunities for free! 9) Read a book- If sailing is so easy, then there wouldn’t be a book out there to read. It is honestly a very complicated thing but it is something worth putting all your effort into. One of our favorite books is the Ocean Nomad Ebook (use code 2MONKEYS to get discount!) and I couldn’t recommend it enough. It’s not only informational, but it’s also very inspirational! This is what we’ve been reading and seriously, there’s a whole new ocean of information to find here. To know more about all aspects of crewing, how to catch a ride across the Atlantic, essential knowledge on routes, seasons, weather, costs, kind of boats, and destinations, extensive review of all crew websites and marinas, seasickness, life at sea, ocean conservation, safety at seas, visas, tips and checklists on eco-friendly packing, assessing safety, captain & capability, as well as provisioning, then download the Ocean Nomad Ebook.